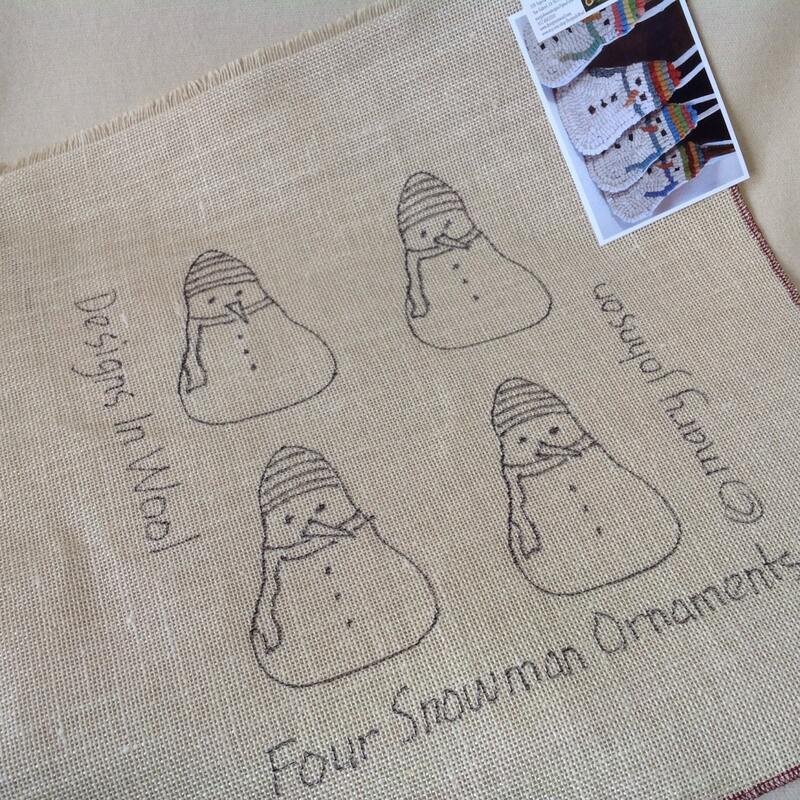 This listing is for the PATTERN for four snowman ornaments to hook in the primitive style of rug hooking. Finished, they each measure about 5 1/2" long and 3 3/4" across at the bottom. You will receive a 4 x 6 photo with purchase along with instructions on how to finish them after hooking. It does NOT include instructions on how to hook. This is for the PATTERN only, not the finished ornament. 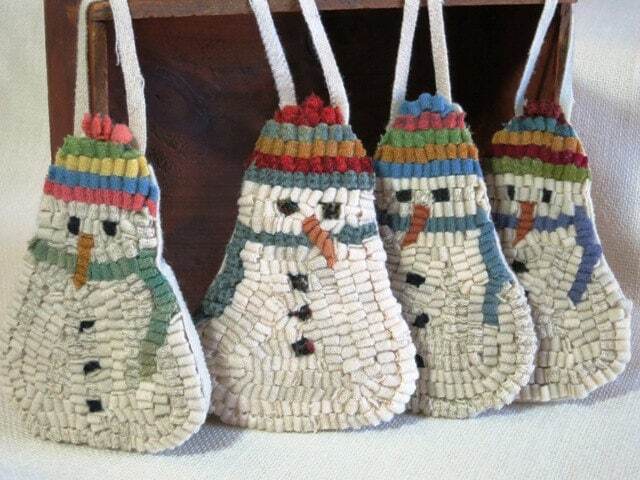 You may have seen these on my Pinterest board as a finished ornament for sale, but those are no longer available. I hand draw each one on the backing fabric of your choice using a 20" x 20" piece so that it will fit on most rug hooking lap frames or in a sturdy 14" hoop. 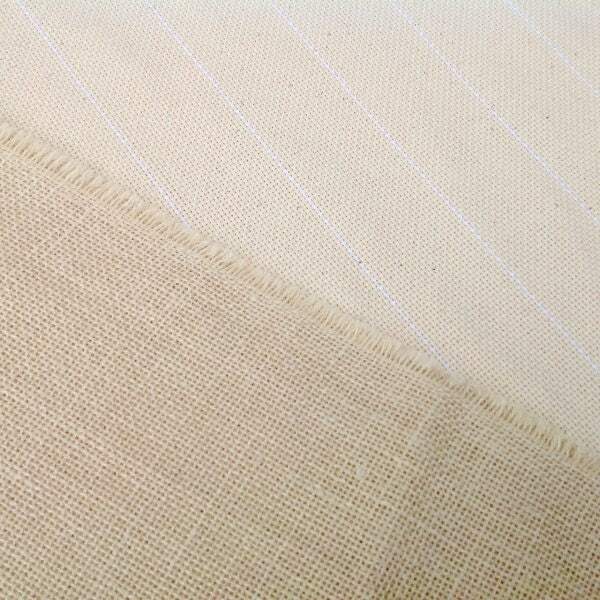 The raw edges of the backing fabric are serged to prevent raveling while hooking. 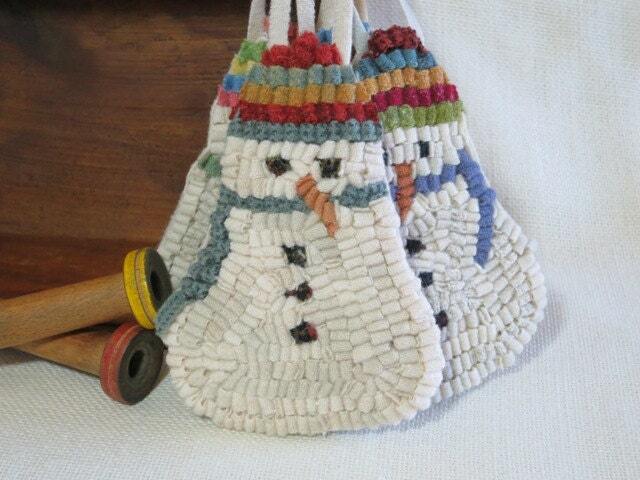 The finished samples give you an example of how I hooked some of my snowmen. I used a mixture of off white wools with a variety of colors for their hats and scarves. The examples were hooked with #8 (1/4" wide) cut strips. Instructions include how to add a backing piece of felted wool and the hanging strip. 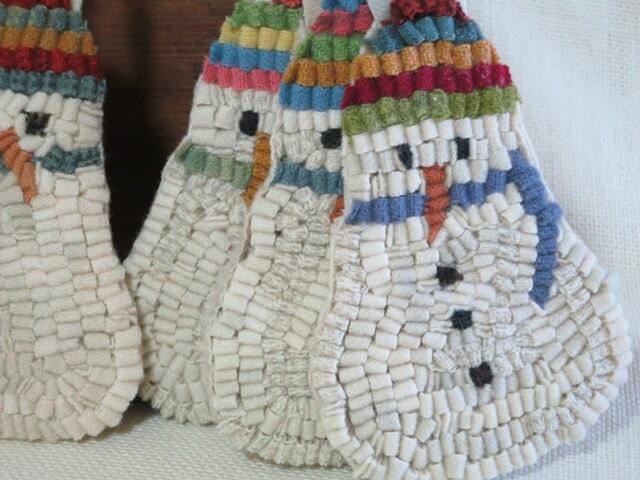 These would make a great gift or party favor. They look so cute on a Christmas tree. There is always lots of conversations about how these are made and how primitive they are. Hang it from a window sill, door knob, dresser drawer or back of a chair. It's a wonderful little piece of color and visual interest that will add a bit of primitive Americana to your home. Thank you Mary...just finished these yesterday!! !